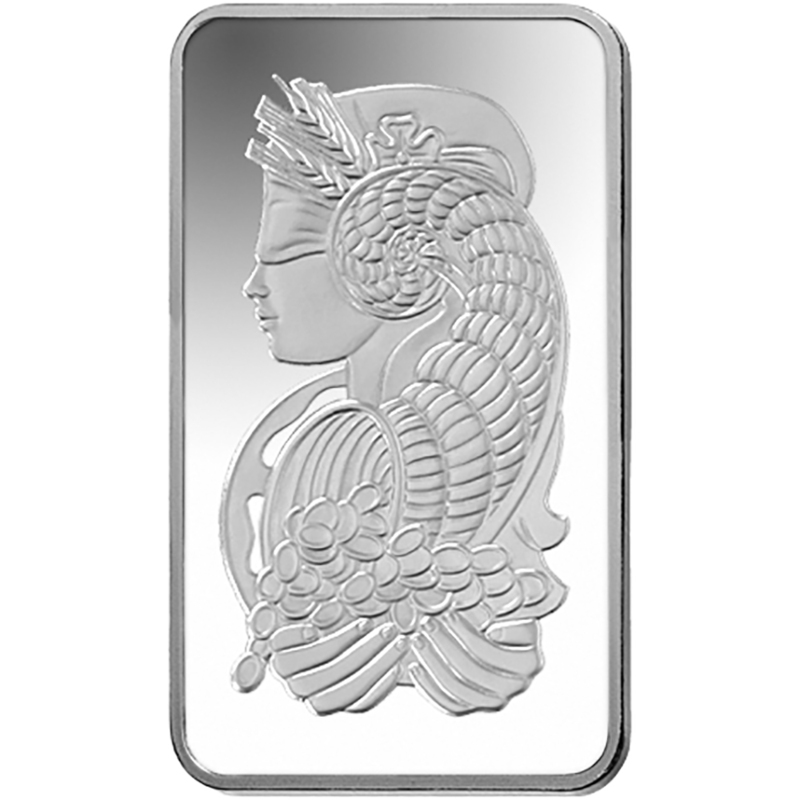 The 9Fine Mint 5oz Silver Bar is minted in the U.S. 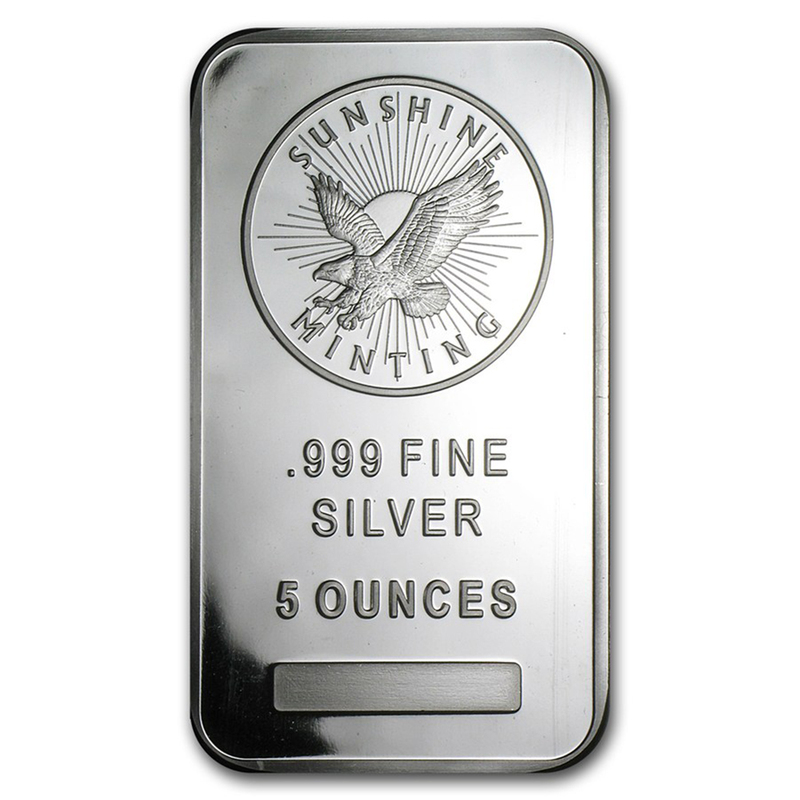 The obverse of each bar features the 9Fine Mint logo and details the bar weight and purity. 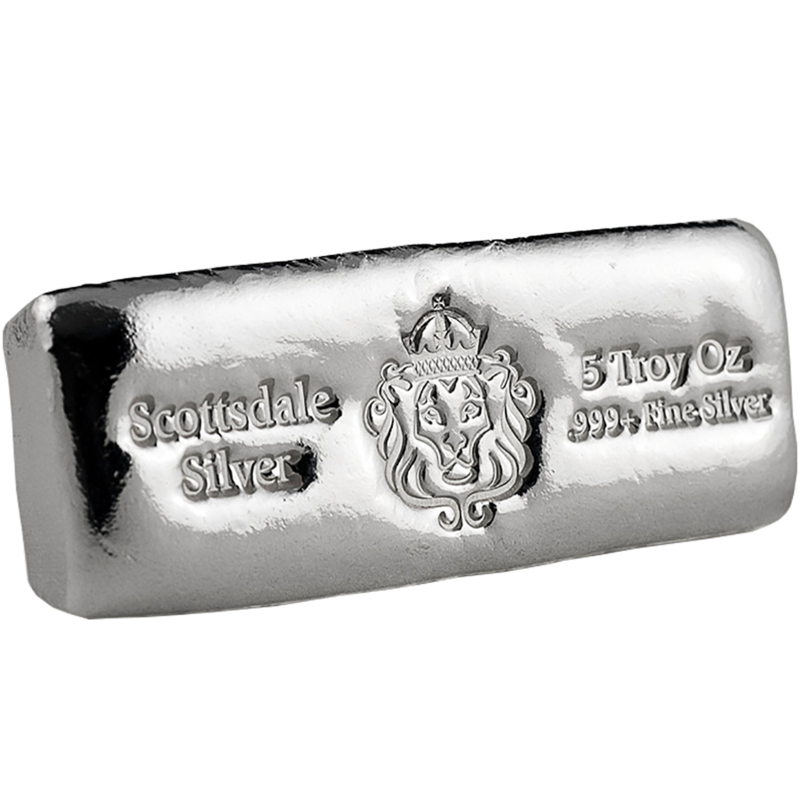 Each bar is cast, but has a sharp struck look, with clean lines. 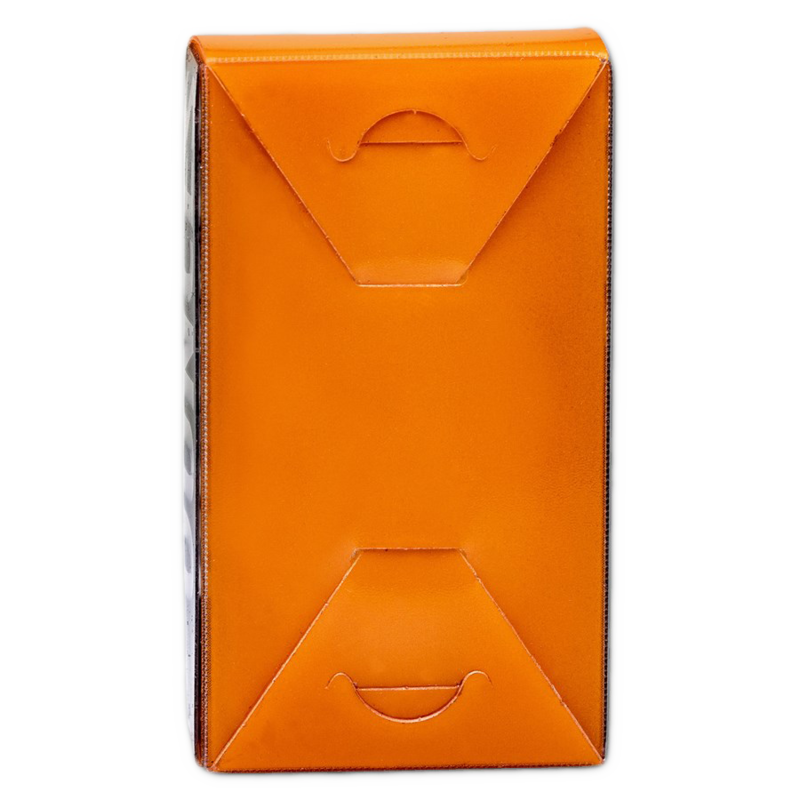 Bars are packed into individual orange and black packaging, which was custom created to perfectly fit each bar. 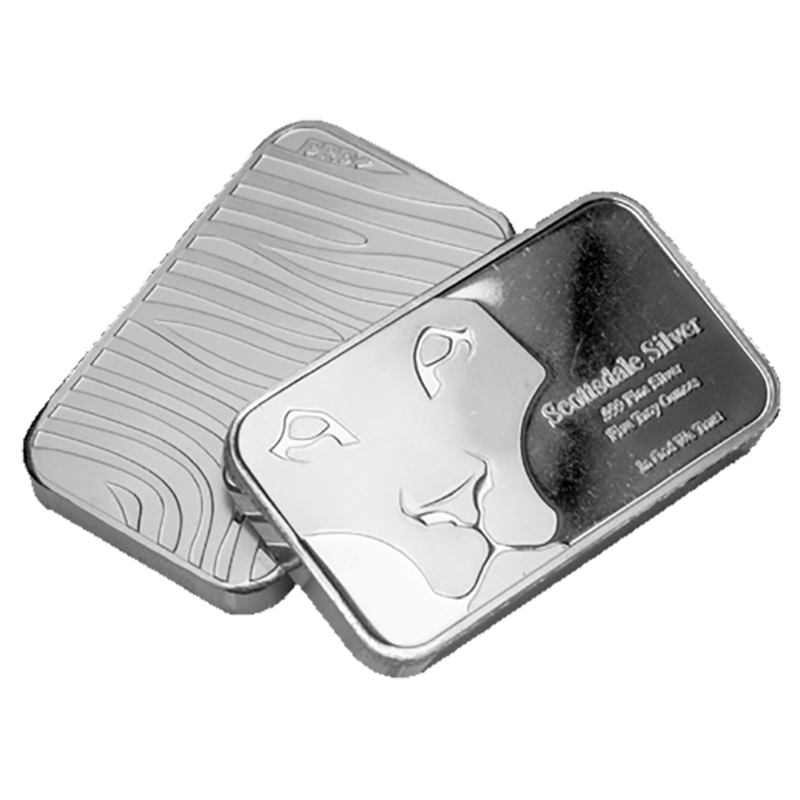 This adds a fresh look to Silver, whilst providing safe storage. 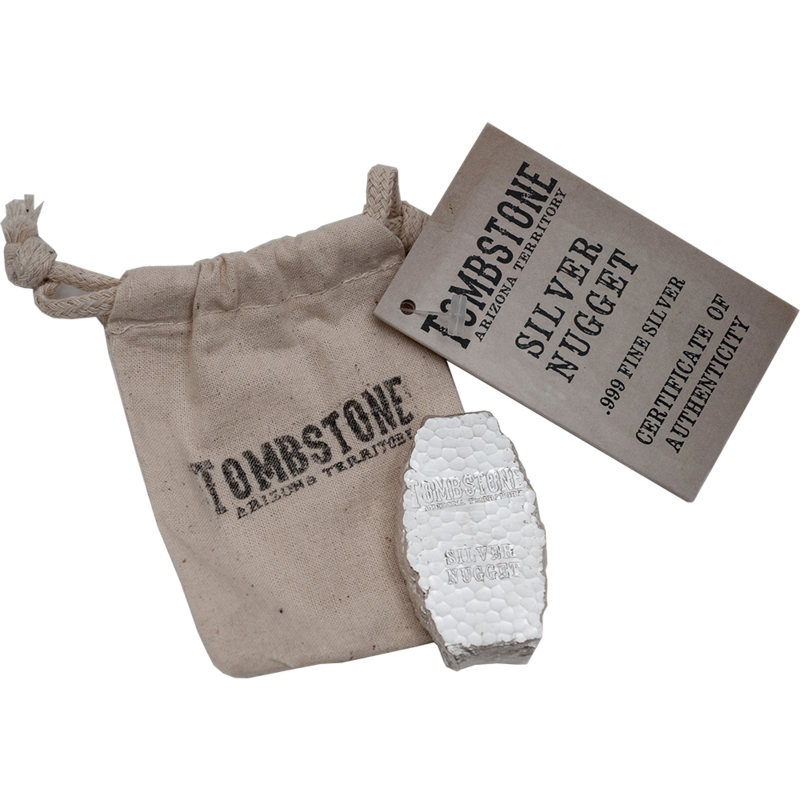 Designed, minted and packaged in America. Dimensions. Length - 45.0mm. Width - 25.0mm. Thickness - 11.0mm. 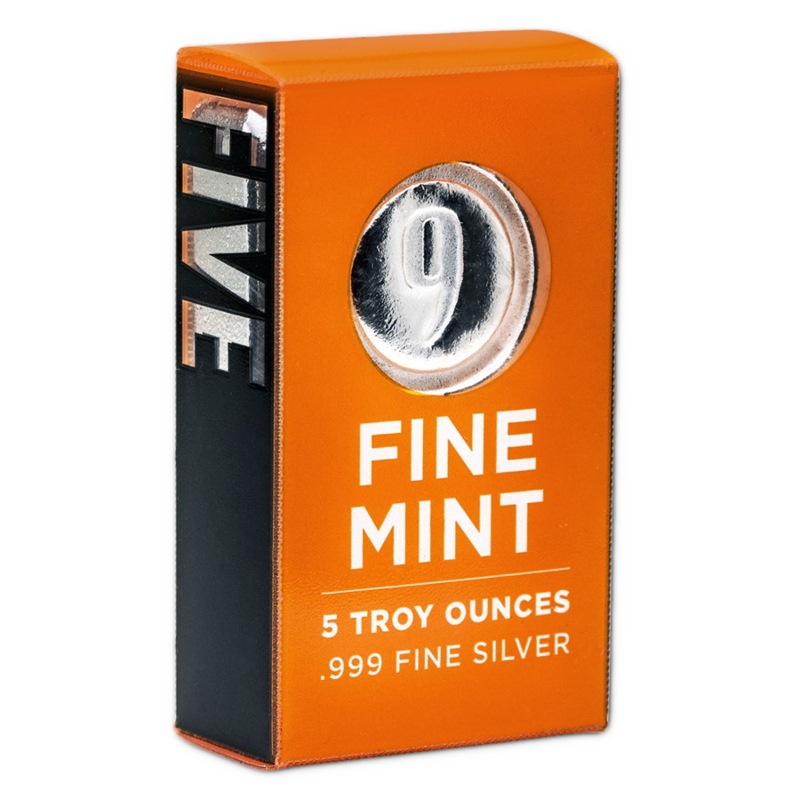 Multiples of 10 are supplied in mint boxes. 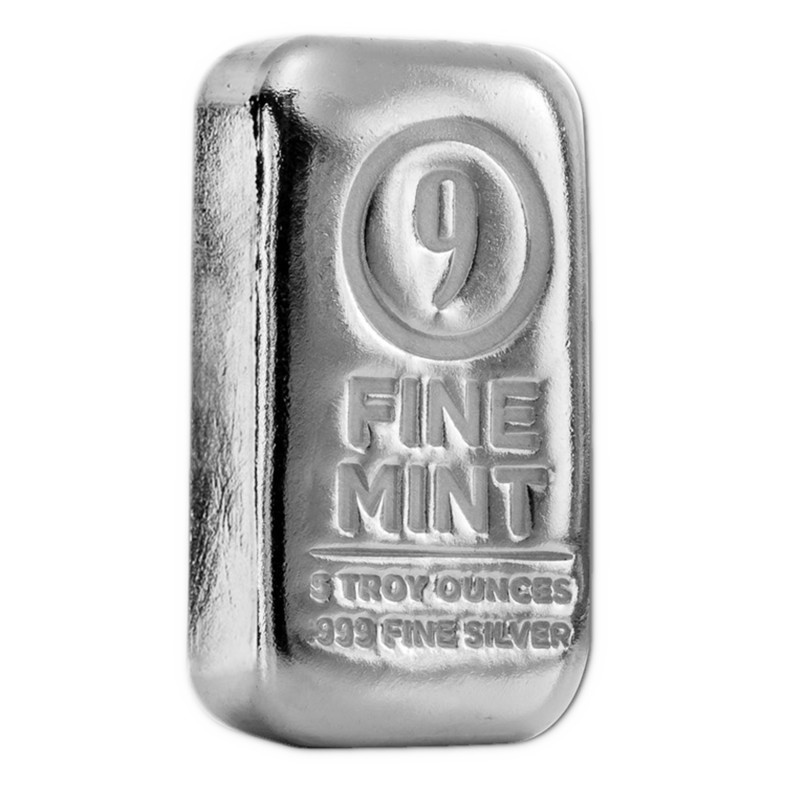 9Fine Mint produce high quality cast bars. Each bar is packed into its individual packaging which was custom created to perfectly fit each bar. 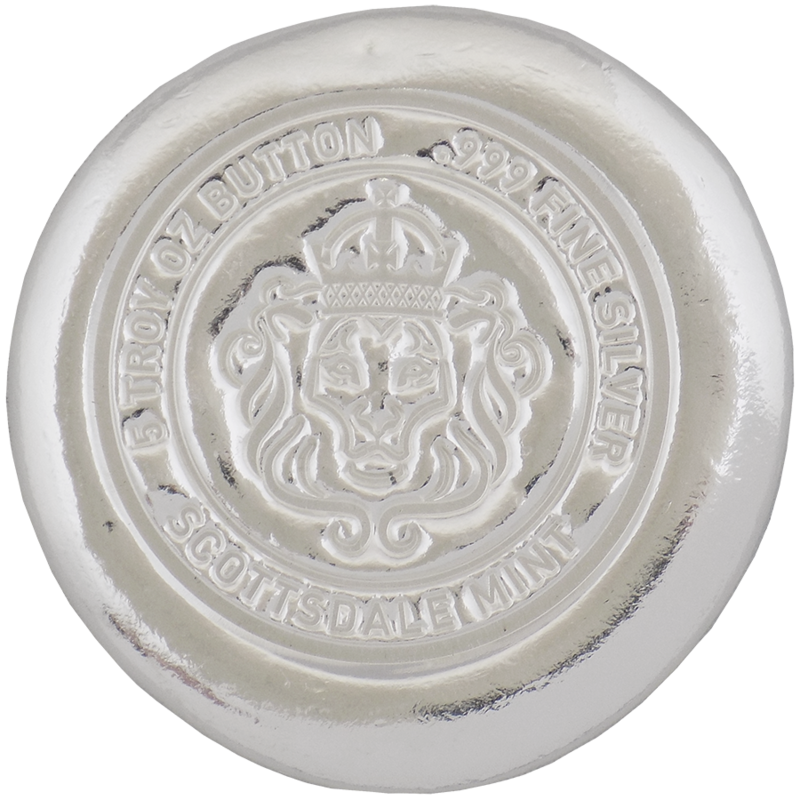 This adds a fresh new look to the tradition of Silver stacking, whilst also providing safe storage. 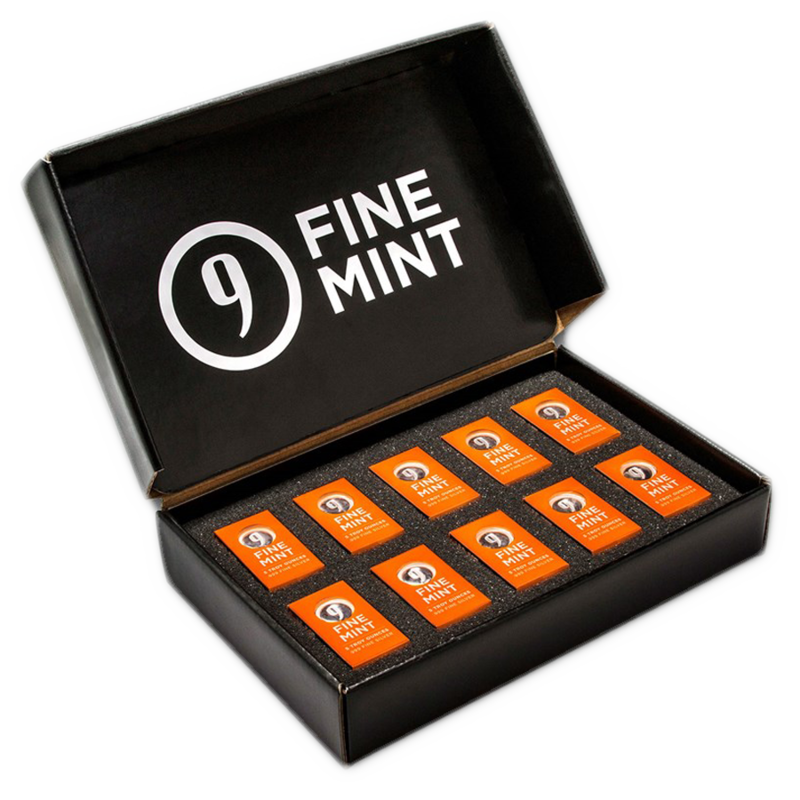 Multiple purchases of 10 bars, are packed in their individual packaging, and then encased in a custom 9Fine Mint box for secure storage and easy display.